The missing sharing tool of Dropbox. Is there a better alternative to Uplr? Is Uplr really the best app in File Management category? Will Uplr work good on macOS 10.13.4? 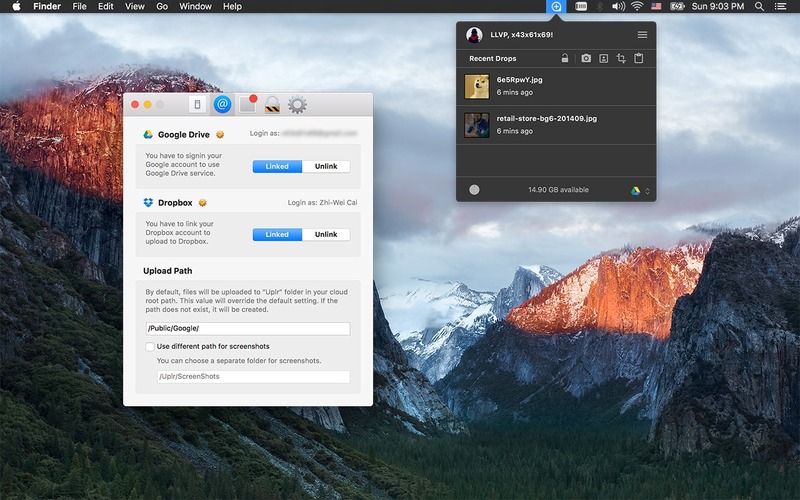 Uplr (was OneShot) is the ultimate sharing tool made for Dropbox and Google Drive. Use your Dropbox or Google Drive as Droplr Pro without monthly fee. Uplr allows you to upload your screenshots, files or even folders to your cloud with simple drag and drop. URL Shortened links are copied to your clipboard automatically for you to share them instantly. Password protect ZIP and self-destruction upload options are also available.